When pregnant, your iron needs increase dramatically. Many women are already not getting enough iron in their diet. 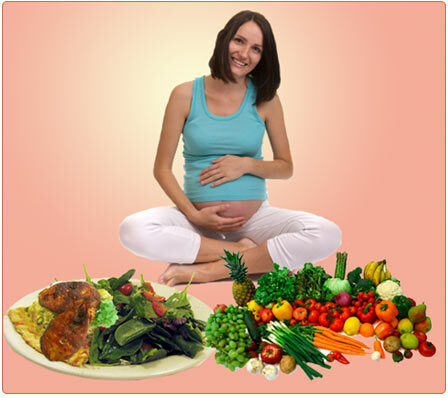 Therefore, many women experience anemia when pregnant because their body can’t keep up with the increased iron needs. Why does a woman need more iron while pregnant? Your body uses iron to make hemoglobin. Hemoglobin is responsible for carrying oxygen to all parts of your body. When pregnant, you have up to 30% more blood circulating through your system to support the growth of your baby. More blood requires more hemoglobin, which requires more iron. Due to the increased iron needs, it’s normal for pregnant women to be mildly anemic. More severe anemia, however, can lead to serious health problems for both you and your baby. A person is anemic when their body has a low red blood cell count or hemoglobin count. This indicates that the cells in your body are not getting enough oxygen. Three different types of anemia are common during pregnancy. Iron-deficiency anemia: This is caused by inadequate levels of iron and results in decreased levels of oxygen throughout the body. Folate-deficiency anemia: Folate, a type of B vitamin, is required to produce new red blood cells. Folate needs are increased during pregnancy, and inadequate levels of folate result in a low red blood cell count, resulting again in insufficient oxygen transport to the body. Vitamin B12 deficiency: Vitamin B12 is also required to produce new red blood cells. Without adequate vitamin B12, the red blood cell count gets low, preventing enough oxygen from traveling through the body. Symptoms of anemia include dizziness, light-headedness, rapid heartbeat, and overall lethargy. These symptoms may be hard to notice while pregnant because they are often caused by pregnancy itself in non-anemic patients. More standout symptoms include pale lips, hair, and nails. If you experience any of these symptoms, discuss them with your doctor. A rare symptom is the craving of non-nutritive substances such as clay, ice, and paper. This condition is also known as pica and is most often caused by iron-deficiency. If you experience these cravings, refrain from indulging and call your doctor. Proper prenatal care includes periodic blood tests that check your hematocrit, or red blood cell count, that will indicate whether or not you are anemic. The treatment of anemia depends on the type of anemia that is present. Iron-deficiency anemia is typically treated with iron supplements. Iron supplements are best taken on an empty stomach with a glass of orange juice, which aids in iron absorption. Folate-deficiency anemia is treated with folic acid supplements. It’s also helpful to eat foods with high folic acid levels, including fortified grain products such as bread and cereal, citrus fruits, and dark green leafy vegetables. Vitamin B12 deficiency depends on the cause of the B12 deficiency. Treatment may include B12 supplements or monthly B12 injections. Will anemia hurt my baby? Anemia has been linked to a higher risk in preterm delivery, low birth weight, stillbirth, and newborn death. Therefore, while easily treated, it is a serious condition that requires adequate treatment. If you suspect you are anemic or have some of the common risk factors for being anemic, speak to your doctor to ensure your hematocrit levels are closely monitored during pregnancy. How can I avoid anemia while pregnant? While pregnant, be sure to take your prenatal vitamin. This includes both iron and folic acid. Include iron-rich foods in your diet such as red meat, beans, lentils, and fortified breads and cereals. Are you looking for quality prenatal care? Dr. Morice is an OB-GYN in Morgan City, Louisiana who also specializes in low cost tubal reversal surgery. Call us today at (985) 702-BABY or email us at drmorice@mybabydoc.com to make an appointment! This entry was posted in Uncategorized and tagged Pregnancy Nutrition, tubal ligation reversal, tubal reversal. Bookmark the permalink.